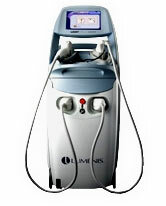 The First FDA Approved Painless & Speedy Permanent Hair Reduction System in Malaysia. Pseudofolliculitis Barbae (PFB) – PFB, or razor bumps, is a common condition in which the regrowing hair, after shaving, curves back towards and pierces the skin resulting in a pustule or papule. The LightSheer’s excellent safety profile for all skin types including the darkest skin, makes it a safe, effective and revolutionary alternative for the treatment of pseudofolliculitis barbae.